Micronutrients include vitamins and minerals that are essential for healthy growth and development. Illnesses and poor diets can put children at risk of various micronutrient deficiencies. It’s not always skinny or underweight children who suffer from micronutrient deficiencies either. Children who are a healthy weight, or overweight can also suffer from micronutrient deficiencies as they receive enough calories, but get these from poor quality foods with no nutrients. For example a diet high in white bread, noodles, crackers, soft drinks and low in fruits and vegetables is high in unhealthy calories but not in micronutrients. Which Micronutrient Deficiencies are common in Fiji? When children not eating enough in their diet, have poor absorption or illnesses such as diarrhoea, respiratory tract infection or measles; this can cause Vitamin A deficiency. 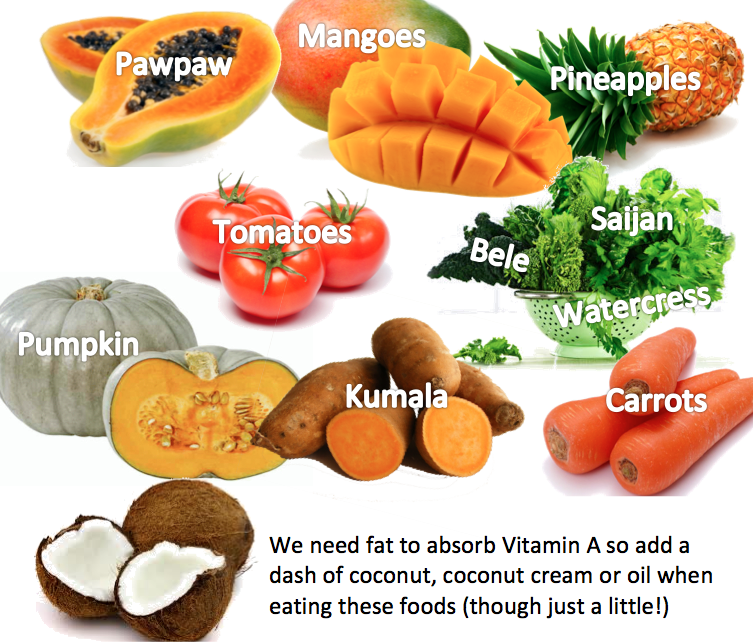 In Fiji 34% of children under 5 years are at risk of Vitamin A deficiency, with 8.6% diagnosed as deficient. Deficiency was 65% more common in iTaukei children. Children go through major growth spurts meaning they need a lot of vitamin A to grow healthy bones and tissues, healthy skin to protect them from infection and healthy vision. One of the first signs of vitamin A deficiency is night blindness and difficulty for the eyes to adjust to dim light. Children may also suffer from frequent infections and illness due to low immunity. While foods such as liver can be high in vitamin A, the best way to get your dose is through fresh, Fiji grown fruits and vegetables (and eggs). Orange fruits and vegetables (such as paw paw, carrot and pumpkin) are particularly high in vitamin A but so too are highs green leafy vegetables (especially Bele and Saijan). Tip: Having a little bit of fat with your Vitamin A sources will help your body absorb it. So add a dash of coconut milk or shredded flesh in with your meal. In the 1990’s iodine deficiency was a major problem in Fiji with almost 50% showing signs of goitre (enlarged thyroid which appeared as a lump in the throat) caused by this deficiency. 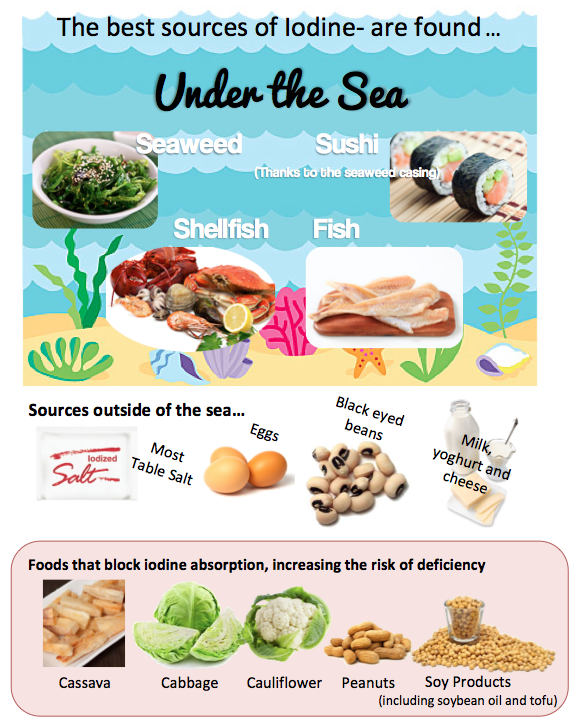 This was a major concern as iodine deficiency can lead to stunted growth and impaired brain development. While the fortification of salt with iodine helped curb deficiency rates, a 2007 study suggested iodine deficiency rates were still as high as 16% for children in Fiji. Zinc helps in muscle formation, wound healing and immune functioning. Rapid growth means children need more zinc and are at a greater risk of this deficiency. Around 5.6% of Fijians under the ages of 5 are deficient in Zinc. The rate is higher in Fijians (7.2%), compared to Indo-Fijians (2.6%). It is also more common in boys (6.5%) than girls (4.8%). Zinc deficiency is a major health concern as it can lead to delayed sexual maturation, growth stunting, hair loss, dandruff, dermatitis (skin condition: eczema), impaired wound healing, impaired taste, diarrhoea, behavioural and sleep disturbances. 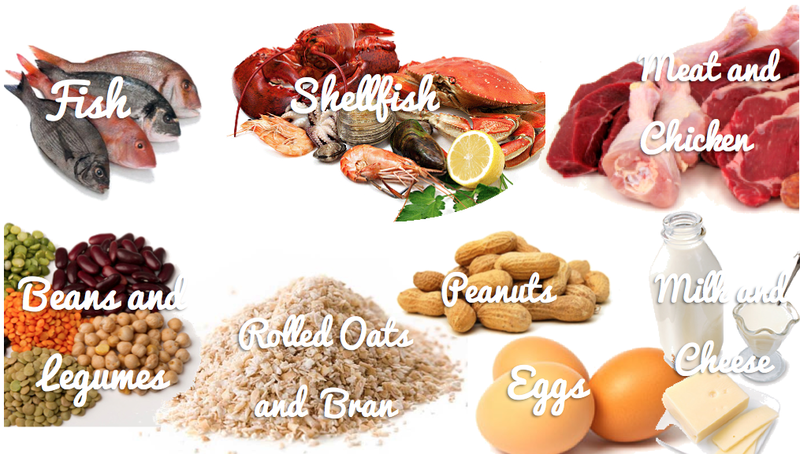 Food sources of zinc include meat, chicken, fish and shellfish as well as eggs, cheese, milk, rolled oats and bran. Peanuts can also provide zinc. While vegetables don’t provide zinc, it’ s important to have a good intake of Vitamin A, E, B6 and calcium for your body to absorb zinc. Bele, pumpkin, and all orange and green vegetables are good sources.